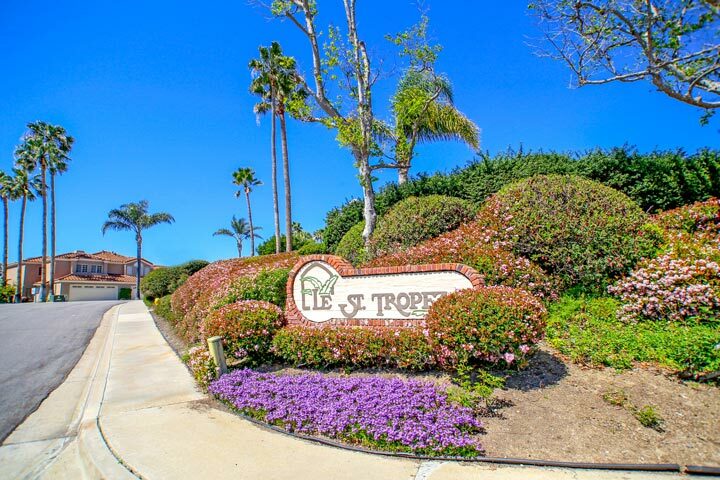 St. Tropez homes are located in the coastal community of Aliso Viejo. The St. Tropez neighborhood dates back to 1989 when the first homes were built here. There is a variety of two to three bedroom condos located here that range in size from 1,033 to 1,663 square feet of living space. These are nice multi-level homes that can feature attached garages, outdoor patio decks, gas fireplace and interior laundry facilities. 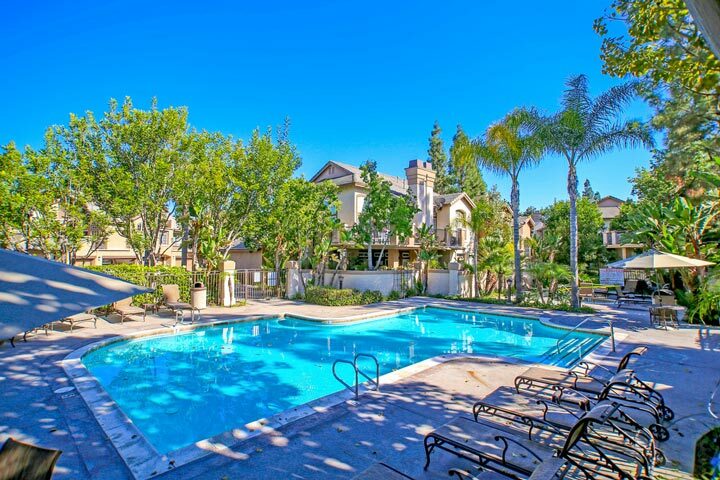 Below are the current St. Tropez homes for sale and for lease in Aliso Viejo. Please contact us at 888-990-7111 with questions regarding this community and any of the units listed for sale here. The St. Tropez neighborhood offers many amenities for those who live here. These include a saltwater pool and spa as pictured below that is securely gated. Residents also have access to the adjacent Argonaut Park and close proximity to Creekside Park as well. The Aliso Viejo Town Center shopping area and the 73 freeway are nearby with great restaurants, move theater and retail stores. The St. Tropez homeowners association phone number is 949-855-1800. Please contact them with any association related questions.